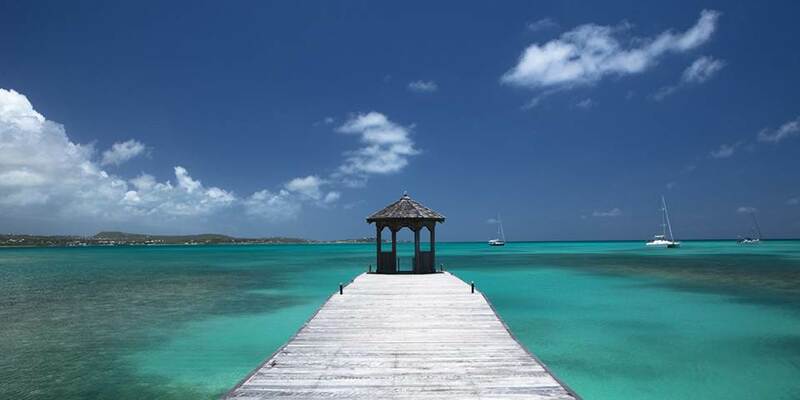 Located on a private island just off the coast of Antigua, Jumby Bay is a haven of serenity. Accessible only by boat, this secluded hideaway renowned worldwide by discerning travellers, has beautiful white sandy beaches fringed by tall palm trees, while the lush landscape is a haven for nature. The Atlantic side of the island should not be forgotten, not only is Pasture Bay the most isolated beach a haven for those seeking romantic seclusion, it is also natural preserve for the endangered Hawksbill Turtle. The Jumby Bay Hawksbill Project has been set up as a long term research and conservation programme, tagging and monitoring these magnificent creatures. 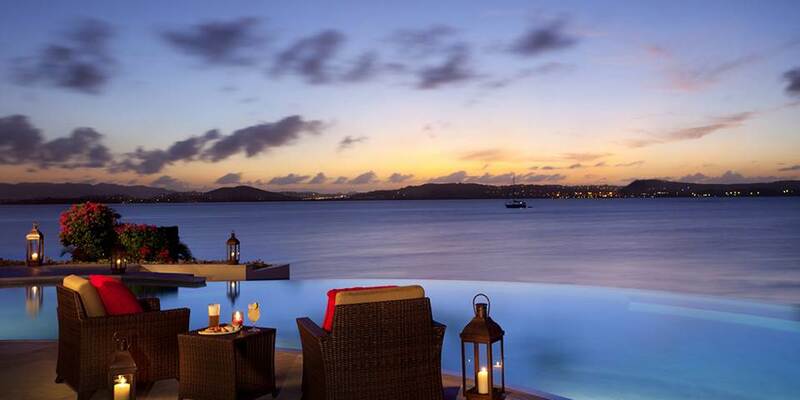 Gourmet dining at Jumby Bay is centred on The Estate House, a colonial plantation house with views of the sea and the distant lights of Antigua. 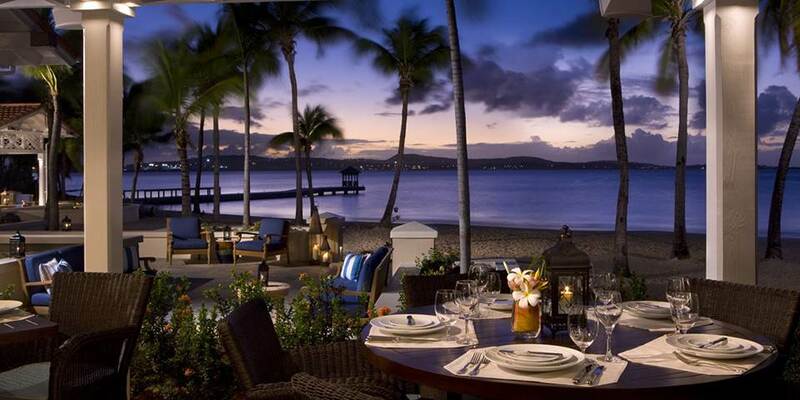 It is difficult to imagine a more romantic location to linger over the delights of the Mediterranean inspired menu. For those who want a more relaxed feel the open air Verandah restaurant , with a toes in the sand atmosphere, serves stylish food in the soft glow of torchlight. The Pool Grille and Beach Bar offer chilled drinks and light meals for those who cannot bear to leave the water’s edge. 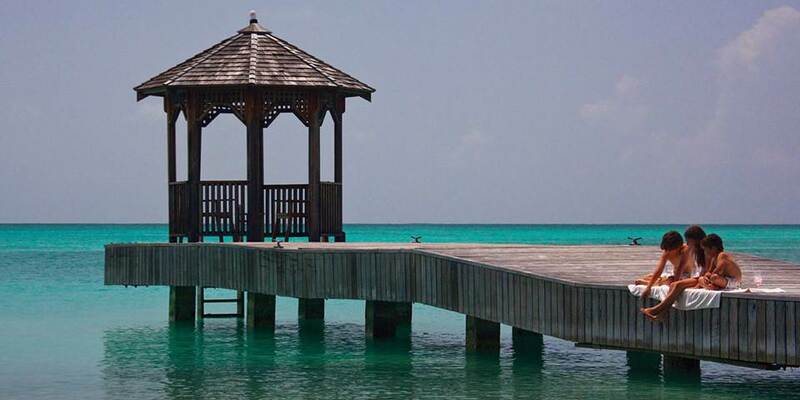 For the true romantics a picnic hamper can be taken to one of the islands remote beaches. Time spent at Jumby Bay can be as lazy or active as guests want, with activities to suit everyone. The more energetic can do laps in the Verandah Pool while those seeking tranquillity and relaxation can laze around the Ocean Front infinity pool. Beach lovers will be in paradise on the pristine sands of Jumby Bay Beach, the ideal place in which to while away time lazing in hammocks strung between the trees in the shade. A raised hand will bring cool refreshments to those reluctant to shift from their chosen perch. Tennis enthusiasts are well catered for with three courts two of which are lit to enable play in the cool of the evening. Resort bikes are on hand for those who want to discover the island at their own pace .Water babies will be in their element swimming, snorkelling and sailing, while the more adventurous can set sail for a day of deep sea fishing. Little guests are also well catered for with Rose Buds Jumby Camp an exciting programme for 3-12 year olds, with a host of possibilities for outdoor adventure or creative expression. 40 luxurious and stylish suites and villas are spread out across nearly a third of this private island, each is an oasis in which guests feel ensconced in their own private hideaway. For those who desire the ultimate in privacy and luxury Jumby Bay also has an exquisite collection of Villas and Estate Homes available for rent. All different in design they feature large pools, private beaches and every amenity needed for a relaxed island life.